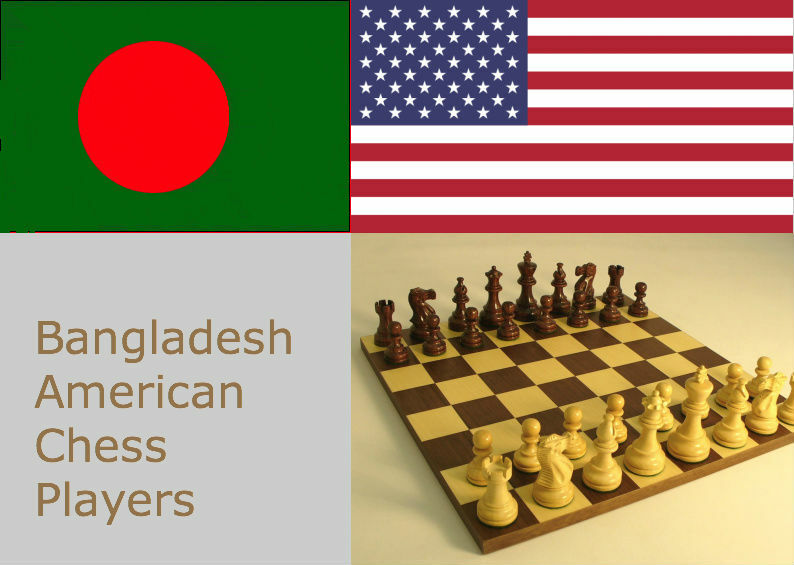 We, XCell Chess Club, became runner up in the United States Amateur Team (USAT) 2017 Championship. We won the semi-final against North by 3-1. I lost in third board with White against Michael Auger rated 2268 (almost 300 more than mine) but all our other boards won. In the other semi-final game, East defeated South by 2.5-1.5 margin. South's first board couldn't play due to a personal emergency and hence they had to play up with 3 boards. In the final we faced the current champion East. I won my game with Black against Warren Wang rated 2198 (again more than 200 points above mine). Arul and Ashrita lost in fourth and second board respectively. In first board Hayk had better position against Ethan Li but drew in time pressure as the game prolonged. Well, we were very close but couldn't make it. We will have to be happy with the runnner up. But this was a great experience and good team work. Kudos to team manager Tigran and XCell Chess Club owner Eshwaran for arranging everything for us. There is always a next time! This playoff along with the original west zone team championship is the most significant team competition I have ever played! I got notified by a web developer John McNeil from my blog about a new chess web site he developed. It's ChessGraphs.com . Being a developer and a chess player myself, I was very appreciative of it. What a clean idea! 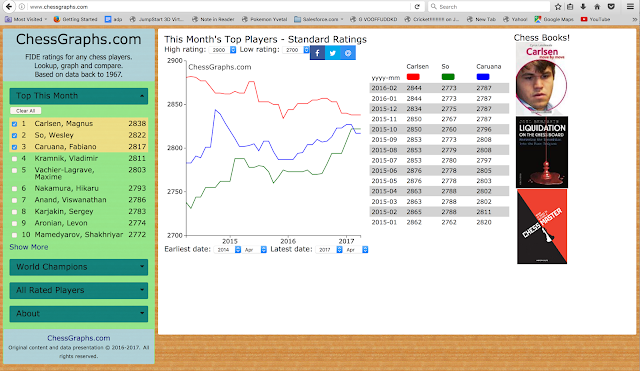 You can see any FIDE rated player's chess rating history in graph for all 3 formats - classical, rapid and blitz - since 1967 till date! You can select single or multiple players and would be able to visually compare their progress year over year. I quickly checked my graph and see that I am stuck just above 1900 for several years now. I thank John for undertaking such a visually stunning and useful project for chess players.